Viknesh Vijayenthiran July 23, 2015 Comment Now! The switch to smaller, turbocharged engines will help Porsche reduce fuel consumption and emissions levels for the cars. The smaller capacity will also make the cars less expensive in markets where there are prohibitive taxes for larger displacement engines, such as China. Another benefit of adopting turbos is higher torque lower in the rev range. The new engine is said to produce its peak 369 pound-feet of torque (likely common for both variants) at just 1,700 rpm, reducing the need to downshift when a burst of acceleration is required. When it comes to performance, top speed will remain unchanged but 0-60 times should improve by about 0.1 of a second for both variants. 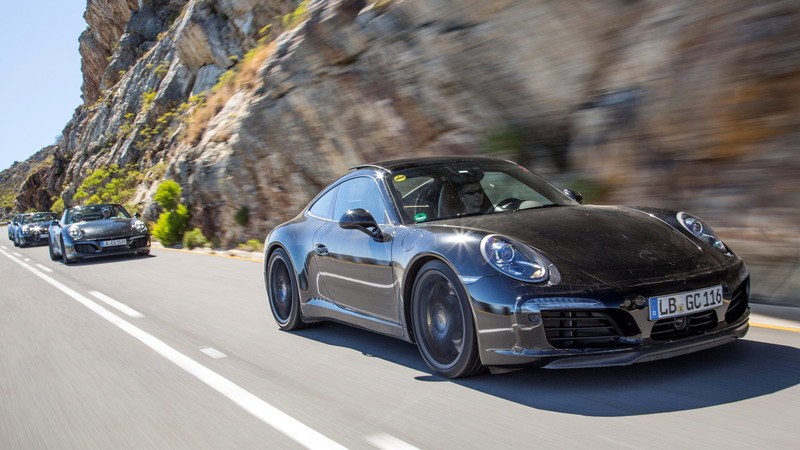 This means a time of 4.1 seconds for the Carrera and just 3.8 seconds for the Carrera S—both figures achieved when equipped with the available seven-speed PDK dual-clutch transmission and Sport Chrono Package. 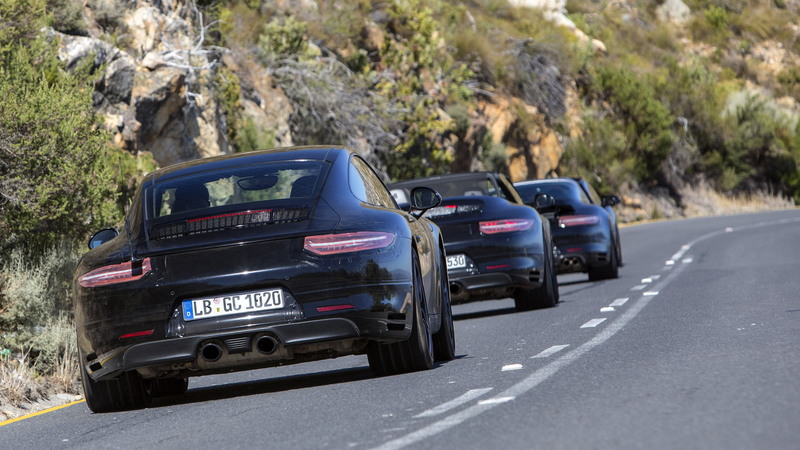 Other changes are said to include the availability of the four-wheel-steering system currently fitted to higher-end 911 variants, as well as the front-lift system to help protect from bumper scrapes. 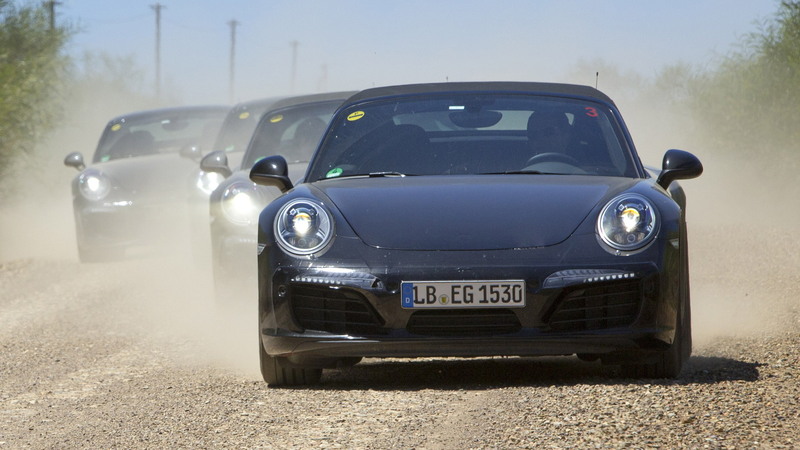 Visually, the front of the updated Carrera models is characterized by revised daytime running lights and new intakes in the bumper, possibly with an active grille-style function to help save fuel. At the rear we can see some new intakes at the sides of the bumper. 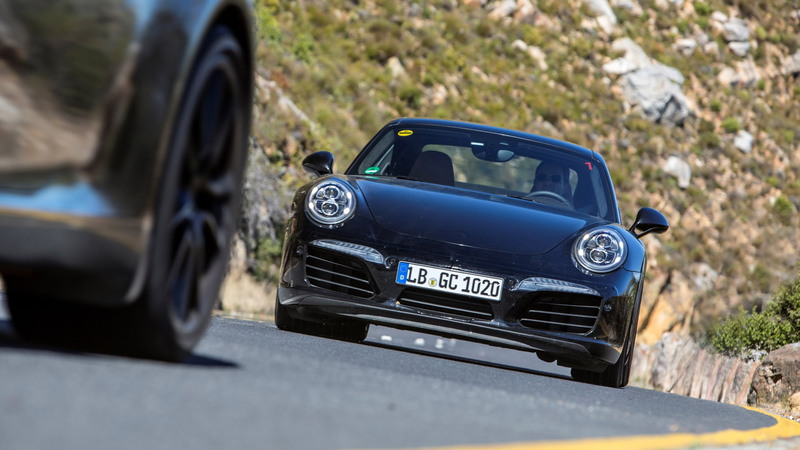 It’s not clear what effect the turbocharging of the Carrera models will have on the updated version of the actual Turbo variant but it’s likely output will be dialed up higher than the current model’s 520-hp rating (560 hp for the current Turbo S). Porsche will eventually boost the output of its more potent models using hybrid technology but this is not expected until the next generation of the iconic sports car. The updated Carrera models are due in local showrooms early next year. However, we’ll have all the details much sooner than that as the cars are scheduled for a debut September 15 at the 2015 Frankfurt Auto Show. For more from the show, head to our dedicated hub.